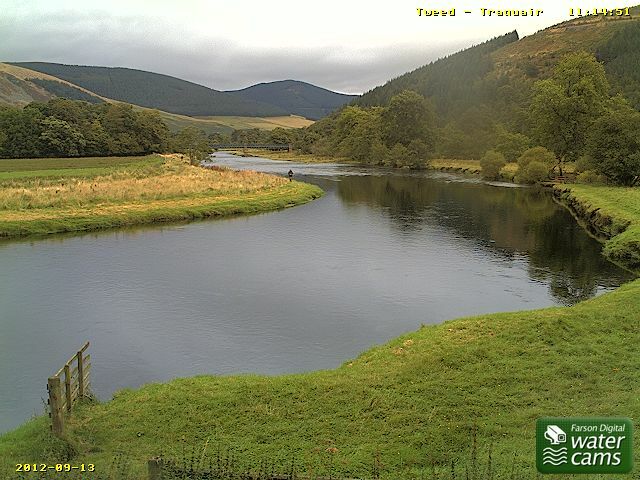 River looking good at Traquair this morning. There is a display by Traquair House at the Heritage Hub in Hawick for Borders Heritage Week 13th to 23rd September. Should be well worth a visit. 8pm – 10pm FREE More information on 01896 833 583 Blind as a Bat? Blood sucking? Dispel the myths around our bats and discover their cute side! An event based at this historic Spa site which is reputed to have magical waters. Bring a torch, a bat detector if you have one and wear warm clothes. Suitable for families with children over 6 years. Join the ranger (and columnist) for a day of creative writing – make your own myths, wax lyrical about the trees, maybe you’re a poet and didnae know it! Includes a short walk. Some pieces of writing from the day will be selected to go in the Southern Reporter newspaper. Tea, coffee, juice will be provided but you may want to bring a packed lunch. No dogs. Under 18s must be accompanied by a parent/guardian. 9.30am – 6.00PM Contact Ian at Borders Journeys to book the tour on 01896 822690 or 07794 021819. More details can be found at http://www.bordersjourneys.co.uk Cost £30.00 per person – excludes all entrances, meals & refreshments There are tales to be told and stories to share that feature St. Mungo, Merlin, Bonnie Prince Charlie, Bear Gates and a dwarf. Highlights include visits to Stobo Kirk and Traquair House. Leaving from the Abbey Car Park, Melrose at 9.30am with agreed pick-ups en-route. Returning to Melrose via the Yarrow Valley approx 6pm. Drop offs as requested. 11am – 3.00pm Included in admission prices: Adult £4.50, Child £2.70, Concessions £3.60, Historic Scotland Members free. In the 1540s Smailholm was attacked repeatedly by the English during the war of the “Rough Wooing”. Learn what it was like to live so close to the border and how the men of Smailholm would defend their homes and land. An exhibition of paintings and sculpture by local artists Michael Jessing, Mary Kenny, Kenneth McQueenie and Sarah Long on the theme of myths and legends. 01750 20761 Mon – Fri 10am – 4pm & Sat 11am-3pm A special exhibition of highlights from the weird and wonderful collection of objects at Abbotsford, the home of Sir Walter Scott. Robert Burns visited Jedburgh in May 1787 on his tour of the Borders. This exhibition looks at his stay in the town and includes the burgess ticket presented to him when he was given the freedom of the burgh. Inspired by the considerable family archives and celebrating the new book by Catherine Maxwell Stuart and Margaret Fox. Tuesday & Thursday 10–1, 2–5, 5.30–7 Wednesday 10–1 and Saturday 9.30 – 12.30 Featuring local myths and legends including ‘The Linton Worm’. 11am – 5.00pm See the website for admission prices; http://www.traquair. co.uk or 01896 830323 Be inspired by the contemporary art interventions at Traquair by seven leading Scottish Artists addressing the historical and personal heritage of the house, its contents and gardens. In conjunction with Edinburgh Printmakers http://www.edinburgh-printmakers.co.uk. This entry was posted in Uncategorized and tagged Borders, FishTweed, Heritage, Innerleithen, Kelso, Peebles, River Tweed, Smailholm, Tweed, Tweed Valley. Bookmark the permalink.